What's it all about? Well, Ashford Castle is all about history, service, attention to detail and being made to feel like royalty, that’s what it’s all about. This majestic pile dates back to 1228, from whence it changed hands and appearance many times (it has gone from being, initially, a defensive castle stronghold to French Châteaux to Victorian neo-Gothic). What hasn’t changed, quite apparently, is its adherence to centuries-instilled levels of care and craftsmanship; while the exterior is as fantastical picture-perfect as anything you’ll see in a classic Disney movie, the interiors burst forth with so many exquisite artifacts that it would keep the Antiques Roadshow travelling for years. Staying here isn’t your usual hotel experience, then; history seeps out of every corner, and (very) old-school style glances off every curve. Regarding food, there are two primary options, one nice and functional, the other very swish. The former is Cullen’s, a bistro-style, casual dining restaurant housed in a quaint thatched roof building a few minute’s walk from the castle. The swish option is, frankly, by far the better one: the castle’s George V Dining Room is jacket-and-tie and chic-dress charm, and exudes a rarefied air that thoroughly complements the food, which is cooked and presented with equal measures of traditional style and contemporary panache – kudos to chef Stefan Matz, and his team. 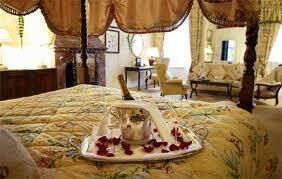 Service here is the epitome of professional, and is effortlessly the right side of attentive. Thoughts on location? There's no doubt whatsoever that Ashford Castle is situated in a beautiful part of Ireland, right by the shores of Lough Corrib, and now that the road network has been upgraded the distance from, say, Dublin, has been cut down to less than three hours. Car travel notwithstanding, the castle stands majestically on over 20,000 acres of rugged woodland and manicured gardens. If you haven’t checked into the hotel spa for a treatment or two, there are several things you can opt for to pass an hour or three. Firstly, you can drive into nearby Cong (it’s less than five minutes by car, about 20 minutes on foot), but, frankly, unless you’re a major fan of the movie The Quiet Man - there's a small, quirky 'museum' dedicated to it - there isn’t that much to do or see there. You’re probably best off staying put in the immense castle estate, from where you can either stroll around the impressive grounds or partake in fishing, archery, clay pigeon shooting, horse riding, lake cruising, golfing, or – ooh, far from it I was raised! 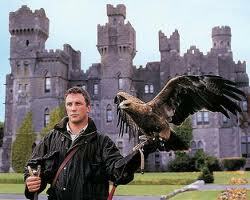 – falconry. 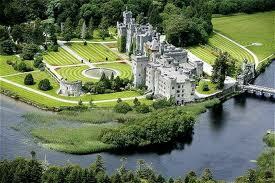 The first thing to love about Ashford is the view of the castle grounds and its position overlooking Lough Corrib. As you drive down towards the entrance, the painterly landscape set before you is truly stunning. 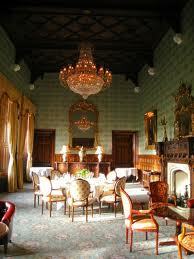 As for the interior – well, this is classy old school, traditional luxury that oozes history and money. Similarly, the castle staff is what you would expect from such an esteemed property: a mixture of courteous, amusing, observant, conscientious and perceptive. What not to like? There is little here that is brand spanking new, shiny or glitzy, but surely that’s a major part of Ashford Castle’s appeal? That said, when we visited we were disappointed by the lack of appeal in the downstairs spa treatment areas. Nonetheless, Ashford remains a genuinely impressive (and large) gem in the crown of Irish hotel hospitality. HOTEL DETAILS: Ashford Castle, Cong, Connemara.